According to accreditors, Mount Ida College forecast deficits in the next four years. Mount Ida College was on track to run a $10 million deficit this year — the third year in the last four that its books would not balance. Only 40 percent of its students generally graduated on time, and about 10 percent of alumni default on their student loans, worse percentages than its peers. 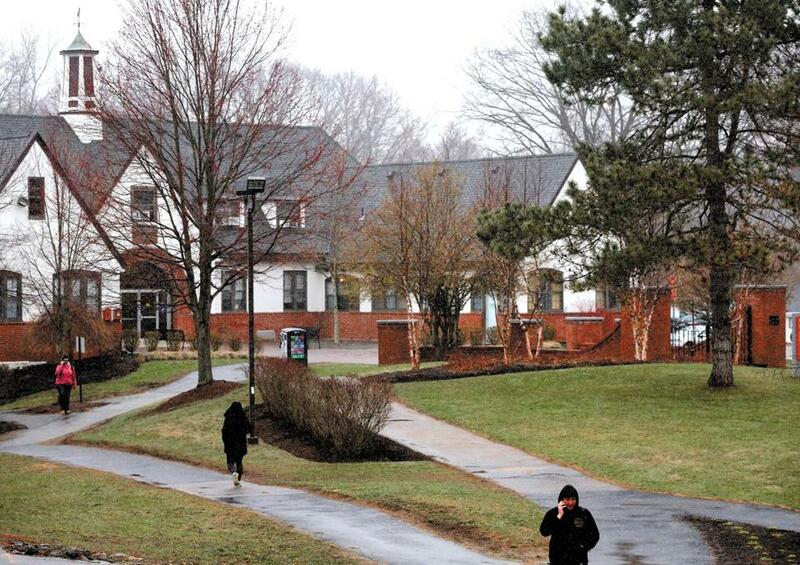 These challenges for the small liberal arts school in Newton were outlined in a new report by the regional college accrediting agency and released by the school Tuesday — just weeks before Mount Ida is set to close its doors permanently. The report is a result of a routine evaluation performed by the New England Association of Schools and Colleges in October 2017 as part of the reaccreditation process that colleges undergo each decade. It was released to the school about a week ago and was posted on its website Tuesday. The report offers new insight into the crisis that led the college, with 1,500 students, to shut down. Mount Ida announced last month that it will close in May and sell its campus to the University of Massachusetts Amherst. An earlier attempt to merge with nearby Lasell College fell through in March. The report noted areas where Mount Ida president Barry Brown improved the college since he took over in 2012, like long-term planning and better academic programs and organization. But it cited several serious concerns. 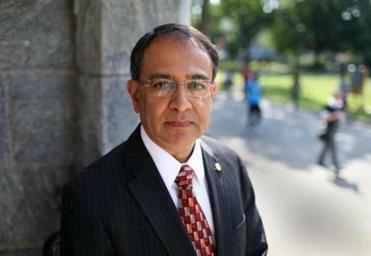 UMass Amherst’s chancellor penned a letter to state lawmakers Thursday saying that his plan to purchase the campus of Mount Ida College is a wise investment. It is impossible to know whether accreditors would have placed the school on some type of probation based on the report because the school announced that it would close before it met with accreditors to review the findings. Barbara Brittingham, president of the association’s Commission on Institutions of Higher Education, said the commission will use the Mount Ida situation as a learning opportunity. “These are very difficult cases. The commission wants to avoid taking an action that will make closure a self-fulfilling prophecy. At the same time it has a responsibility to the students and the public,” she said. Brittingham said accreditors were aware the school was talking to Lasell but it is not mentioned in the report because the merger discussions were confidential then. According to the report, Mount Ida’s graduation and retention rates rank below peer institutions. There were low licensure exam pass rates for students in education programs, it also found. Most of accreditors’ concerns, however, were financial. Accreditors noted that Mount Ida had plans for how to improve the school and identified the financial resources necessary to achieve those goals, but said it was unclear how the school planned to obtain that money. A spokeswoman for the college declined to comment Tuesday afternoon, saying the report speaks for itself. The accreditation report said the school’s growing deficits made it difficult for it to support its mission. It said the school had a plan to dispose of some assets to meet projected shortfalls until the budget was back in balance, but it appears the school could not sell land fast enough to achieve this goal. Last fiscal year the school saw a deficit of about $6 million, the report found. The year prior it saw its cash balances increase because it renewed contracts with food service and maintenance vendors, the report found. In fiscal year 2016 the school ended with a balanced budget but only because of an $8 million private gift that the school used to keep operations going. Overall between fiscal 2014 and 2017, the report found, the school’s net assets decreased by 43 percent. Projections for the current fiscal year predicted the school having negative net assets of $189,000. Revenues increased just 10 percent while expenses grew 33 percent in that time period. The report also found that Mount Ida had not met the terms of the bond covenants required by bondholders. The school had received waivers from bondholders to avoid being in default, it found. In September 2017, Brown and the college’s chief financial officer met with its banks and requested a waiver for fiscal 2017, which ended last June. According to accreditors, the school forecast deficits in the next four years and a small surplus in the fifth year. Judith Wilde, a government professor at George Mason University and past vice president at the Council for Higher Education Accreditation, an advocacy agency for higher education accreditors, said accreditors either lacked expertise to fully appreciate how tenuous the situation was or were not provided with enough information to conclude that the school was at risk for no longer being a going concern. She pointed to three specific transactions she said stand out as unusual: the $8 million unrestricted gift, a $7 million property lease, and a new $4 million line of credit. Knowing more about those items might have given accreditors more insight into what was on the horizon, she said. Accreditors are likely to see more situations like this, said Terry Hartle, a senior vice president at the American Council on Education, a federal advocacy organization for colleges. “The fundamental challenge for people in higher education is how much rope do you give to institutions that are struggling. Is it better to force a close-down of an institution that might be saved or is it better to give the school more time to get its financial affairs in order?” he said. The report reveals other facets of the school’s situation. Mount Ida’s undergraduate graduation rate is 41 percent, the report found. Its freshmen retention rate is 67 percent for undergraduates. Undergraduates graduate with an average of $47,500 in debt. It found that the school discounts tuition an average of 63.4 percent for full-time, first-time students. The school’s financial model counted on tuition increases between 3.6 to 6.1 percent per year and also an $85 million sale of dormitories to a third-party student housing manager that would lease them back to the school. Mount Ida’s abrupt notice that it would close has drawn criticism not only from students and their families, who are now scrambling to find places to finish their degrees, but also from state lawmakers and regulators. On Tuesday the state Board of Higher Education met to discuss proposed regulatory changes to give the state greater oversight of the finances of schools like Mount Ida, to ideally avoid future abrupt closures like this one. Parents have said they had no idea the school was on shaky financial footing. Brown recently touted the school’s improving performance. It had admitted a new class of freshmen and promised many of them hefty scholarships. Jim Peyser, the state education secretary who has said he supports the UMass purchase of the Mount Ida land, sent a statement Tuesday supporting the idea of greater state oversight of private schools. “Our goal is to ensure that the board and department can play a more active role to assist and monitor private college and universities that may be at risk of imminent closure or service interruption for the benefit of the students and families,” Peyser’s statement said.